I love Halloween. It’s my favorite holiday. Anyone who knows me, wouldn’t have a hard time figuring that out – I love dressing up and I love candy. 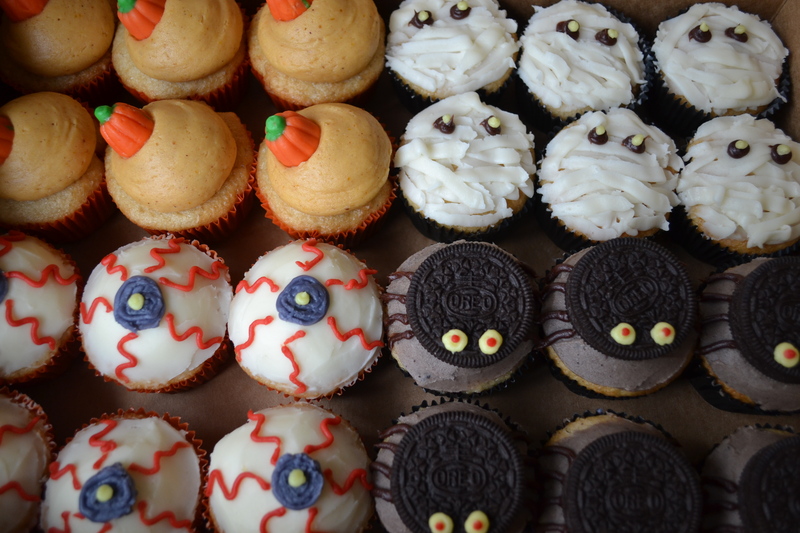 But I also love Halloween-themed desserts. For me, they are the most fun to make. 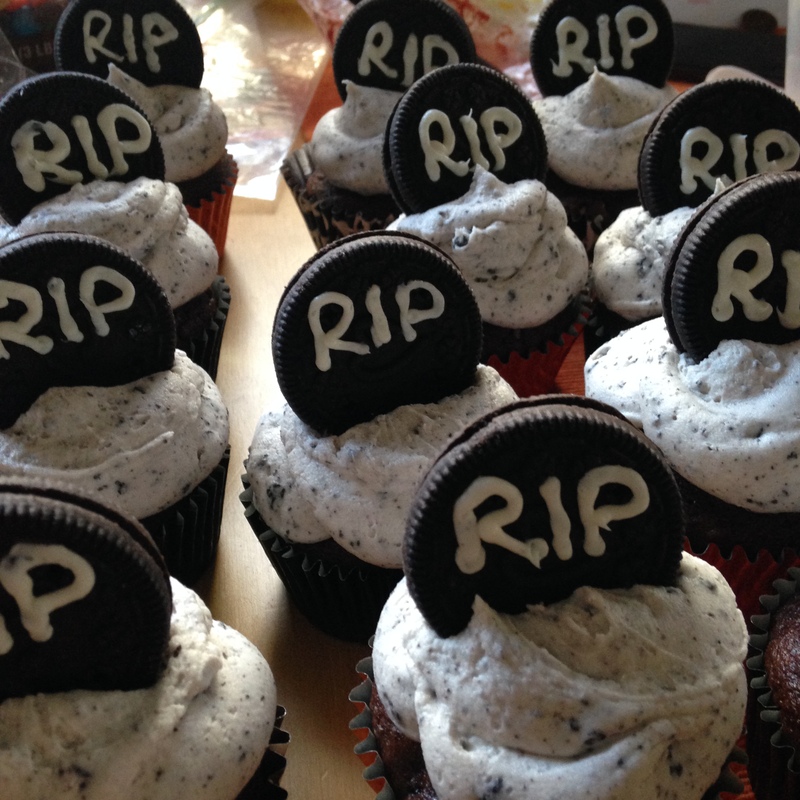 I’ve already started this year, with my first batch of sweet Halloween fun, in the form of Graveyard Cupcakes. 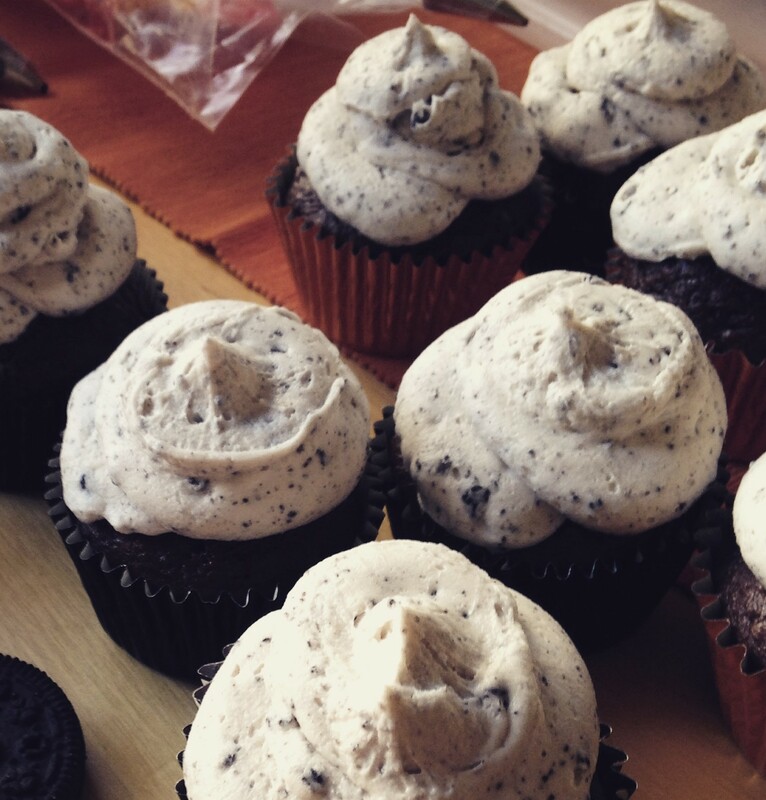 I used a chocolate cake for the cupcakes themselves, and made my soon-to-be-famous cookies and cream buttercream (a girl can dream.) 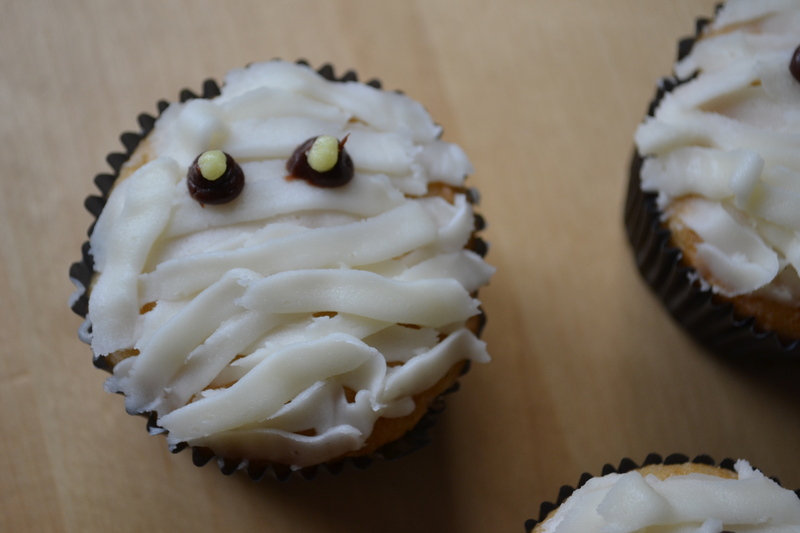 I piped large uneven dollops of the icing on top of the cupcakes, making the perfect base for a cookie grave. 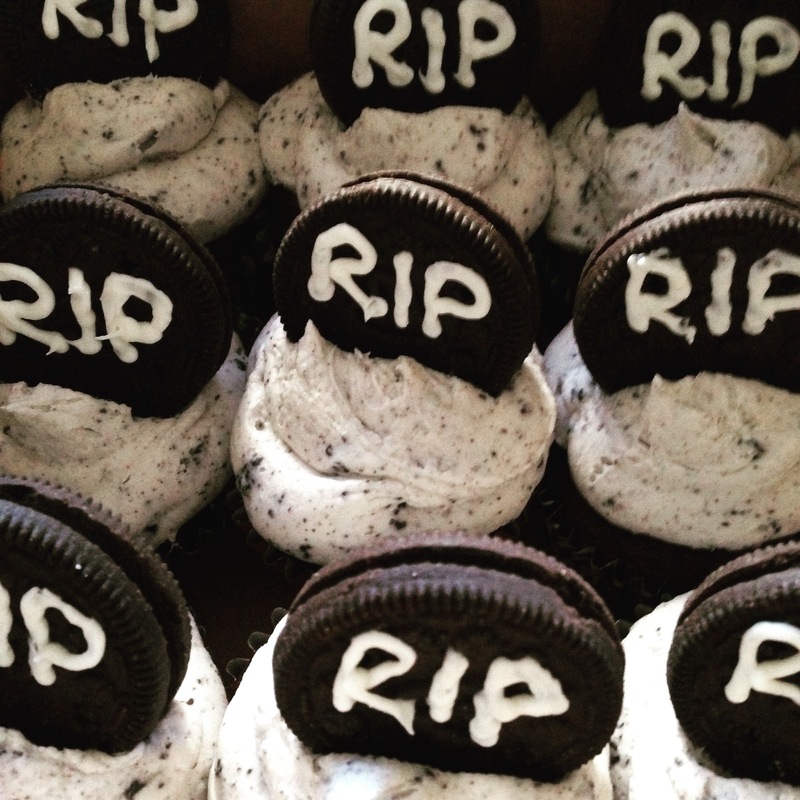 Then, I wrote on the cookie tombstones, and put them into place on the tops of the cupcakes. The result was a Halloween treat to die for. 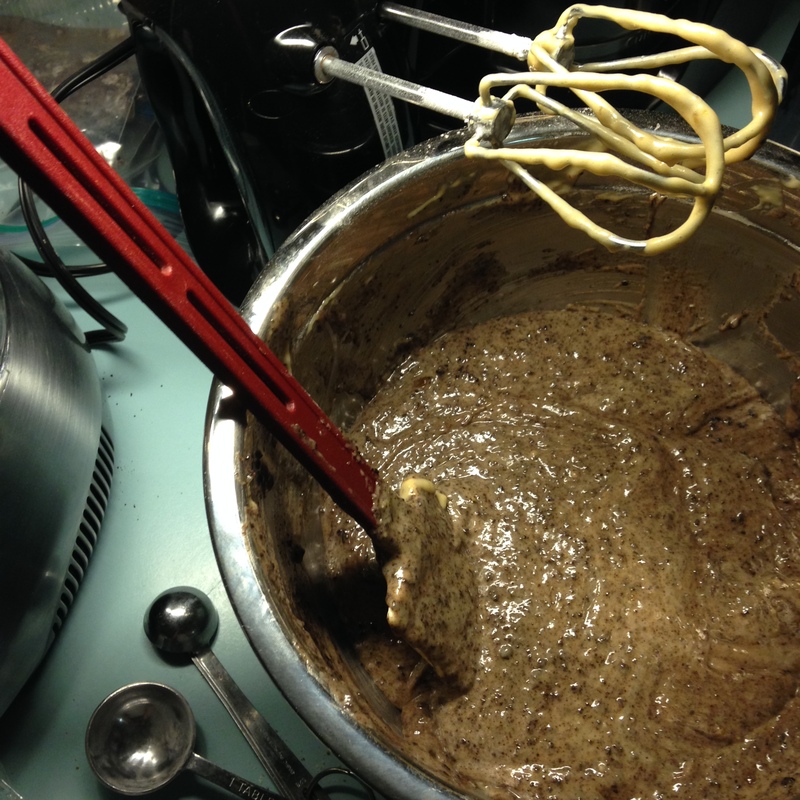 Jeanine’s Soon-To-Be-Famous Cookies and Cream Buttercream. In a large mixing bowl, cream together the butter and shortening. Add the sugar, vanilla, water, and crushed cookies. Beat until smooth, light, and fluffy (about 5 minutes). 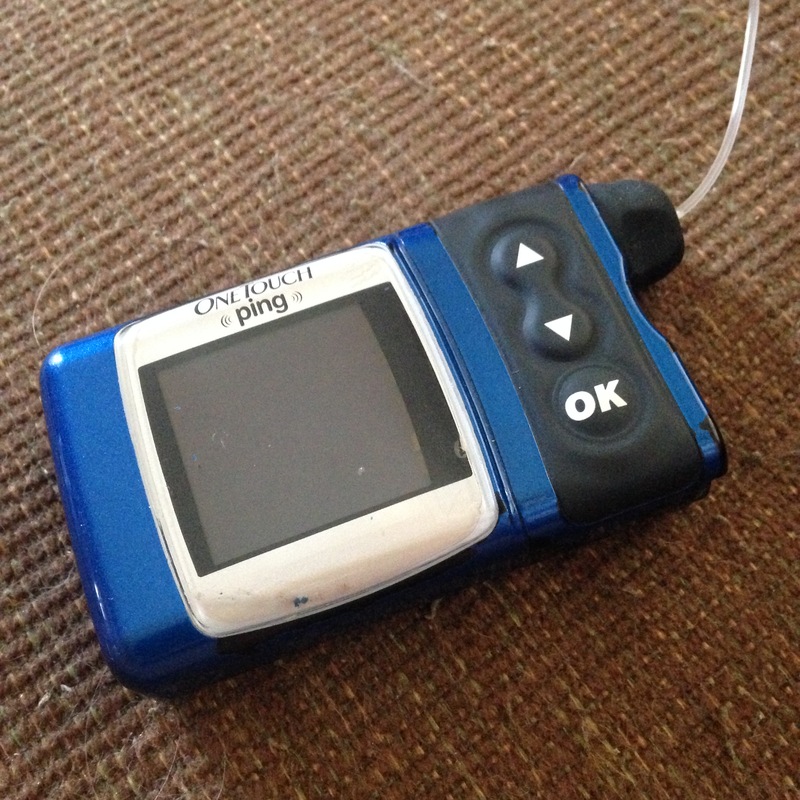 This tiny device keeps my husband alive. What’s not cool is that he has Type 1 Diabetes in the first place, and has to live the rest of his life with the pump. I don’t claim to understand how it makes him feel, physically or mentally. I will never be able to understand that. I can say that he’s tough – he acts like it’s no big deal, but really, it’s a very big deal. Without insulin, he will die. If this fact worries him, he never lets it show, at least to me. This fact does worry me. All. The. Time. I try not to let him see that either, and I don’t want to make this about me. But as the wife of someone with a serious illness, I am also affected, but in a completely different way. It’s hard, because I often feel like I have no one to talk to about it. It’s not something I go around asking people: “Hey, so does your husband have an illness that needs to be constantly monitored and is sometimes unpredictable and could send him into a coma or possibly even death? Mine too! Let’s be friends!” It doesn’t work that way. 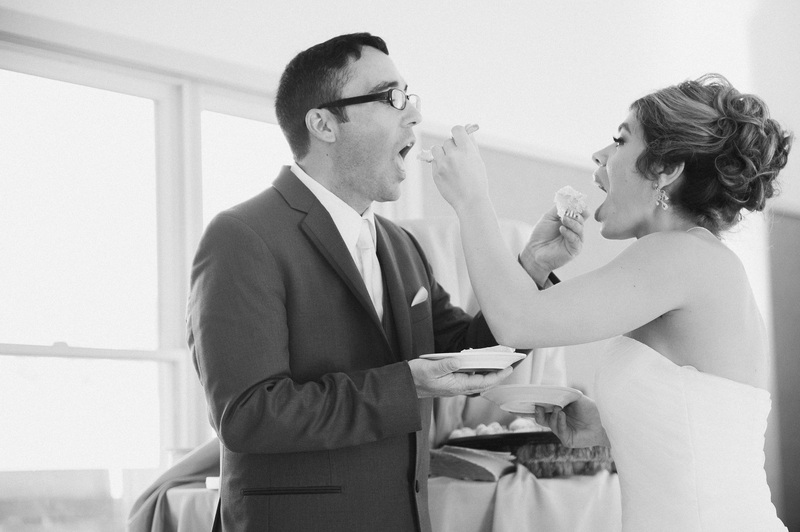 And for the record, he can and does eat the desserts I bake. He just has to adjust his insulin intake for it. Dessert is not a diabetic’s enemy. Yes he ate one of these. And liked it. I don’t worry about sharing dessert with him. I don’t worry about eating anything with him. He does an amazing job keeping his diabetes under control. If anything, it gives his geeky nature a chance to really shine. I worry about coming home and finding him unconscious (or worse). I worry when he doesn’t text me back right away, that maybe he’s passed out on the ground, or in his car in a ditch. I worry when he’s sleeping that he might not wake up. Sometimes I poke him to make sure he’s still conscious (and he wonders why he never sleeps very well). I am, by nature, a worrier. I am also, by nature, a person who is very in tune with other people. I notice every slight change in his looks, his mood, his face, his voice, his eyes…everything. I ask him if he’s ok a lot. I’ve driven home from work at like 80 miles an hour because he didn’t respond to a text and I needed to make sure he was fine. Maybe someday I’ll stop worrying about him so much. Maybe not. Either way, his disease is a part of my life now, too. Maybe my worrying is just another reason why we were meant to be together. Although I wish he didn’t have to deal with having Diabetes, I don’t wish anything was different. I love him for who he is, and how he handles what life has dealt him with courage and grace. I just hope that I can do the same, and be the woman and wife he needs me to be, worrier and all. Photo by The More We See. I love summer. I always have. It’s my favorite season. Knowing this, I’m not sure why I remain in the Northeast, where there’s that season-that-shall-not-be-named, full of snow, ice and misery. 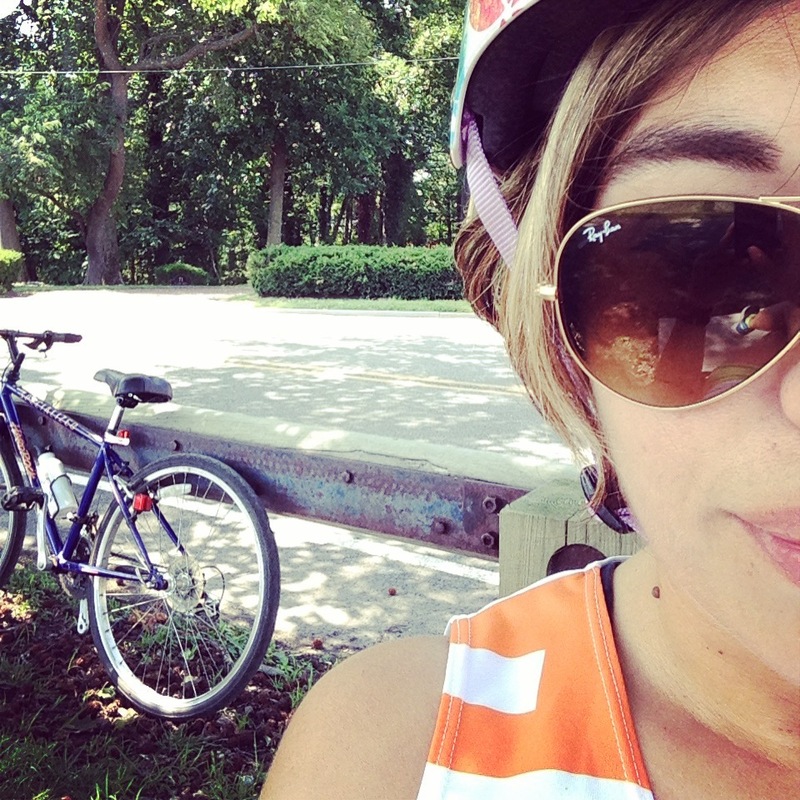 I believe my love of summer stems from my love of being outdoors. So for the majority of summer, I’m out there more than in here. Thus the reason I have posted anything in over a month. I have, however been doing a lot of baking recently. so I figured the time has come to share it with the universe. 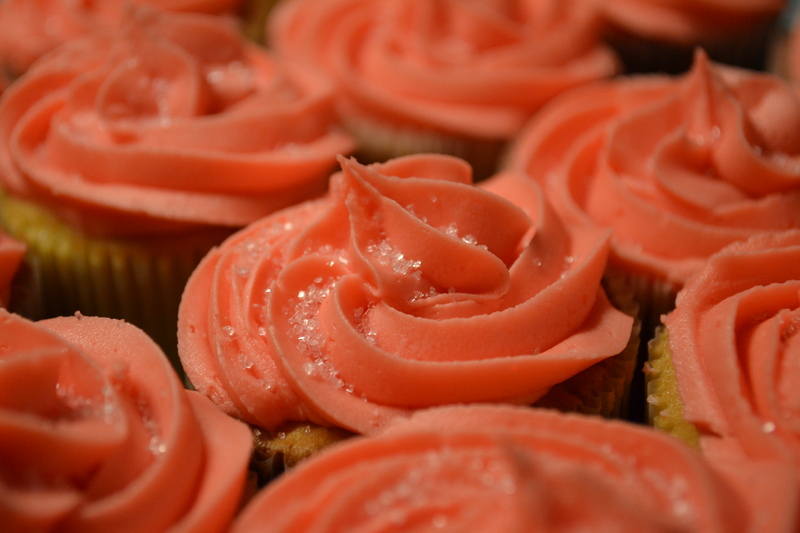 Last week, I made two different kinds of cupcakes for a post-wedding celebration. The first of the two was Cookies and Cream. 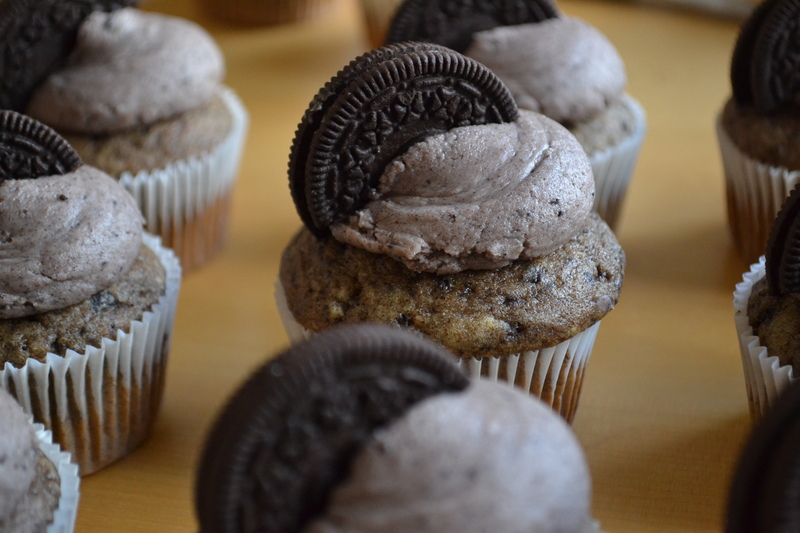 I made up the batter and mixed in crushed fake oreos (faux-reos). Next, I baked them (obviously). 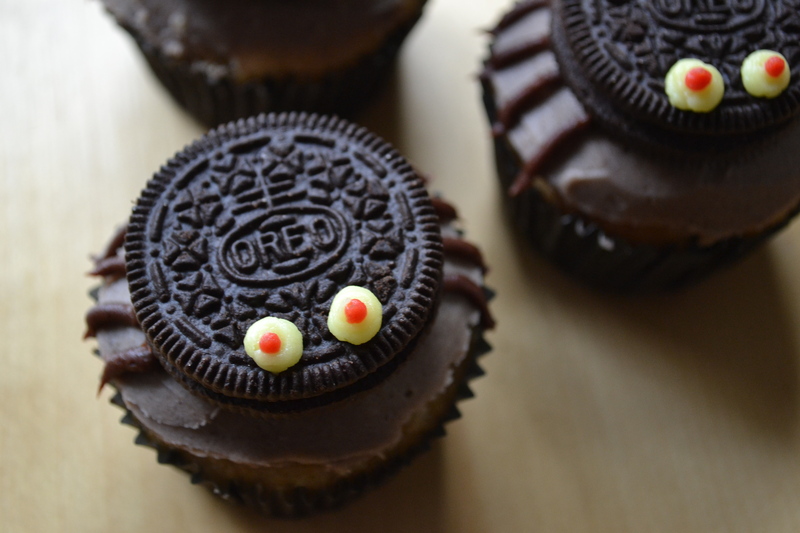 Then, I decorated them with cookies and cream frosting, and half a faux-reo on top. 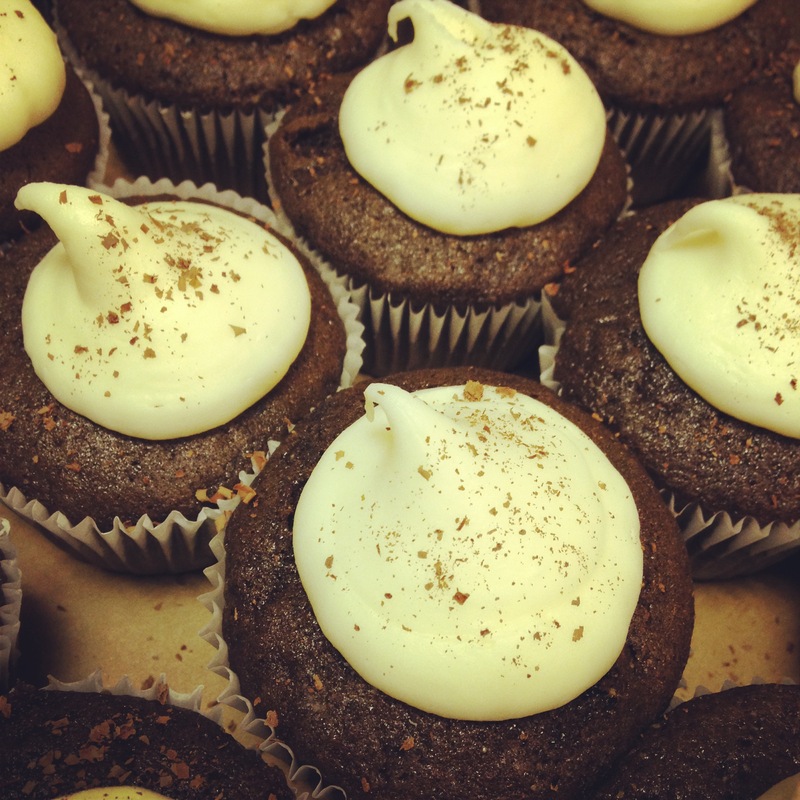 The other type of cupcake was Chocolate with Cream Cheese Frosting. I baked those as well (duh). They rose rather nicely. 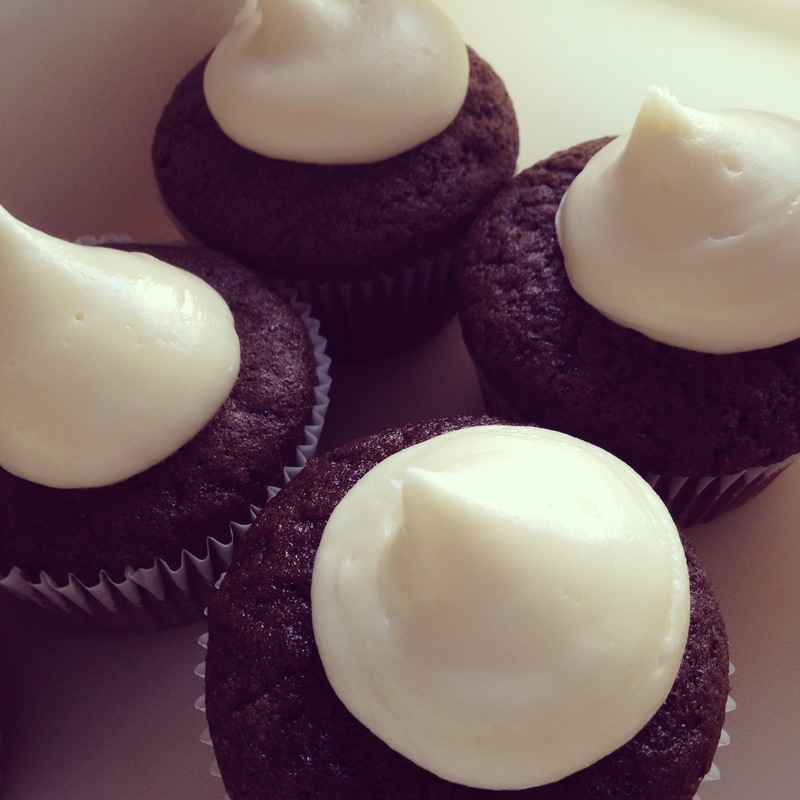 Next, I topped them with a large dollop of cream cheese frosting. like snow capped cupcake mountains. Finally, I sprinkled them with shaved chocolate. I took super close up shots of them both, because I’m obsessed with super close up shots of food. cookies and cream super close up. chocolate and cream cheese super close up. 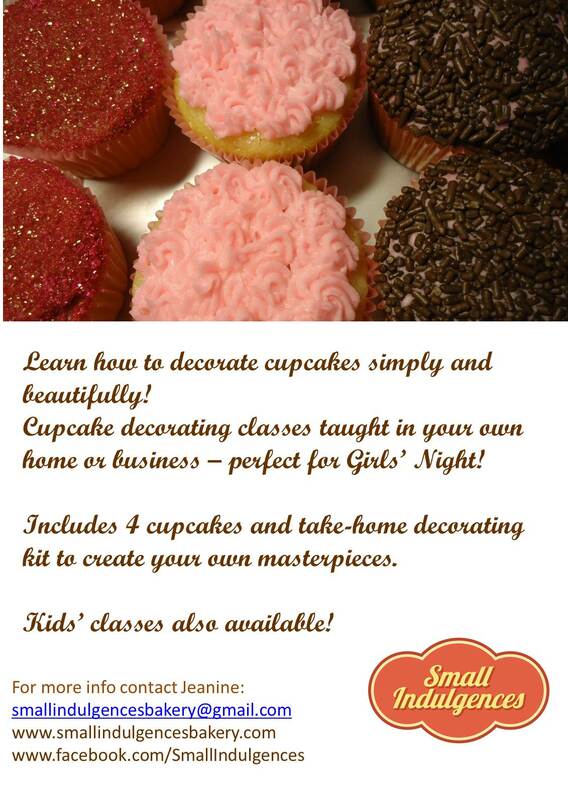 Cupcake Decorating Teacher for Hire! 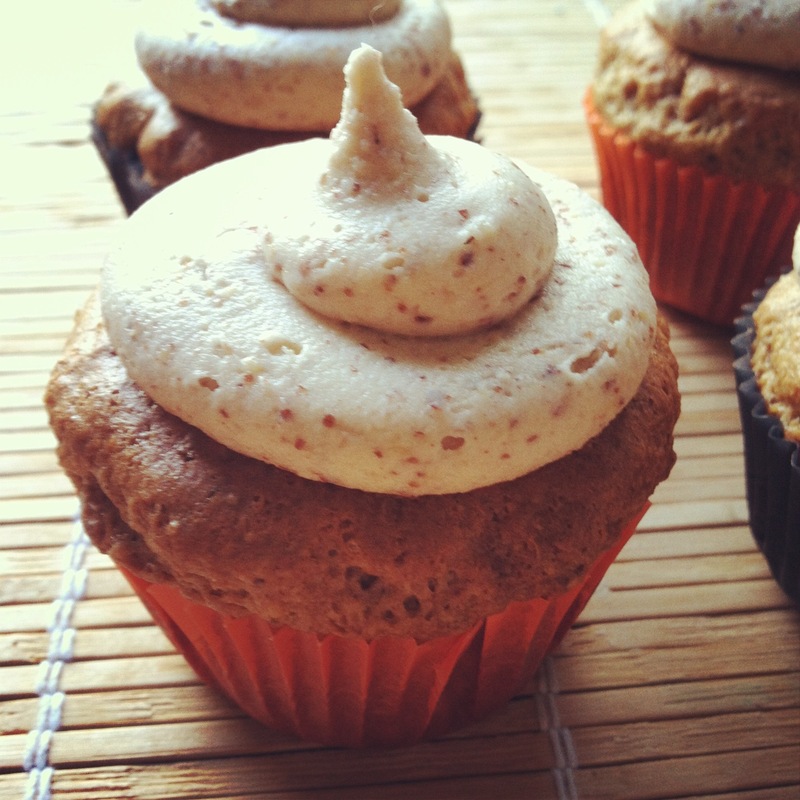 Recipe: Almond Butter Cupcakes with Almond Butter Buttercream. I am a super huge peanut butter fanatic. However, there is one thing better than peanut butter – almond butter. If you have never had almond butter, I suggest you run out right now and get yourself some (unless you’re allergic to nuts – then DO NOT DO THAT). But if you like peanut butter, and you like almonds, then you’ll love almond butter. And what’s the one thing that’s even better than almond butter? Dessert made with almond butter, of course! I had purchased a jar of it recently, and was sitting around daydreaming about what to bake next, when images of said jar floated into my mind…and I decided to try baking almond butter cupcakes with almond butter buttercream. I started with a recipe for a regular cake made with brown sugar, and carefully adjusted the ingredients based on the addition of the almond butter. The batter looked (and tasted) pretty fab. So far, so good. 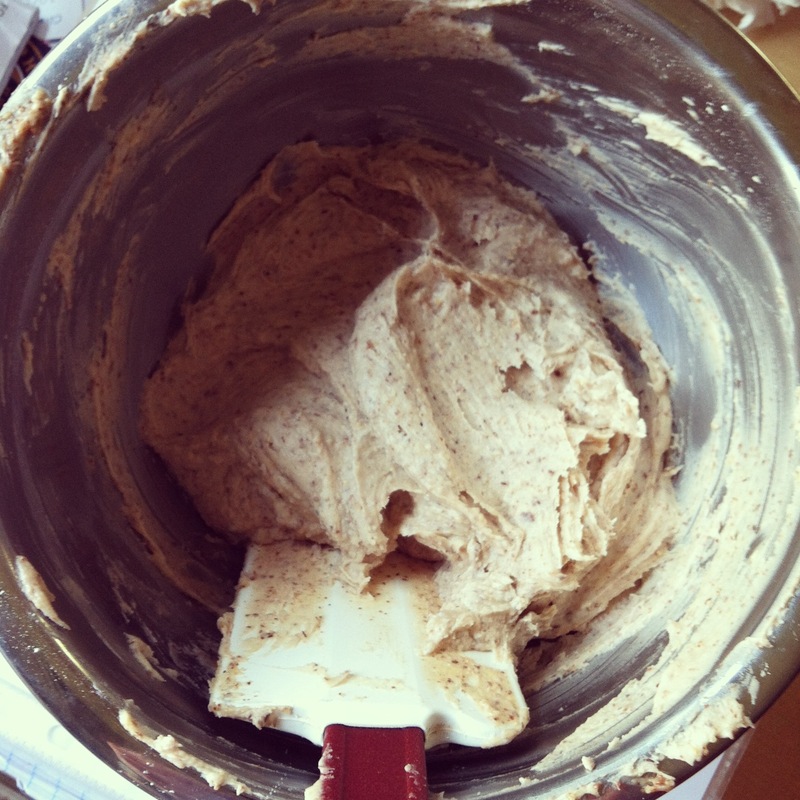 almond butter makes batter better. 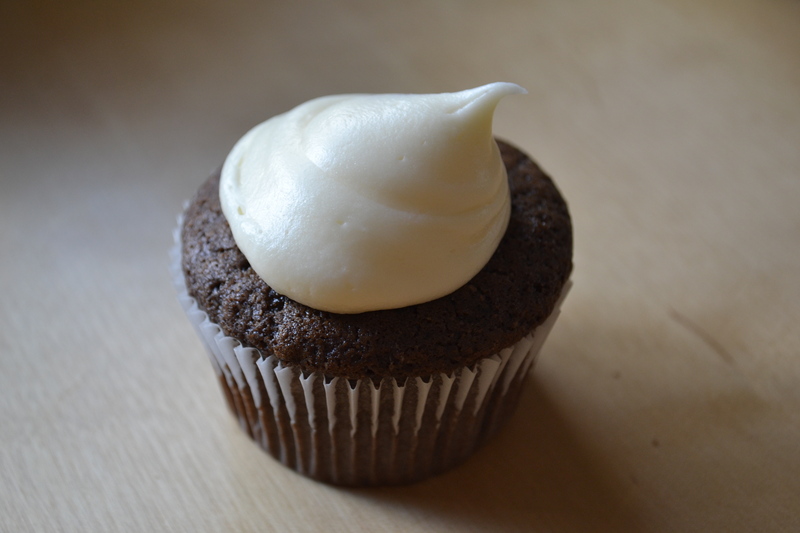 I baked the cupcakes, and while I waited for them to cool, I made almond butter buttercream to top them. If you’re gonna do it, you might as well go all out. all almond, all the time. 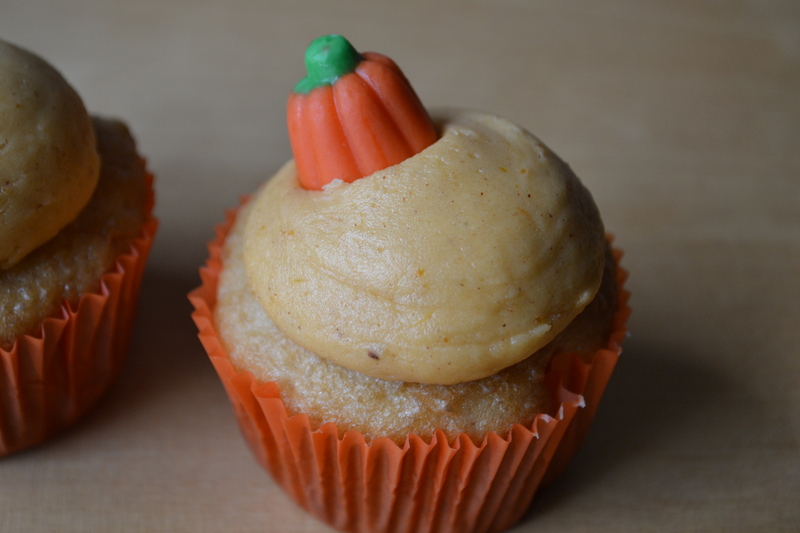 Because it was right before Halloween, I even used orange and black baking cups. I put them in a box, and sent them out into the world to be enjoyed (but kept three for myself and my boyfriend as he LOVES almonds even more than I). People went nuts over them. (See what I did there?). Anyway, here’s the recipe…Enjoy! Preheat the oven to 350 degrees. In a large bowl, beat the sugar, egg, oil, and almond extract. In a separate bowl, whisk together the flour and baking powder, and add to the first bowl, along with the milk, and beat together until just combined. Add the almond butter, and beat until smooth. 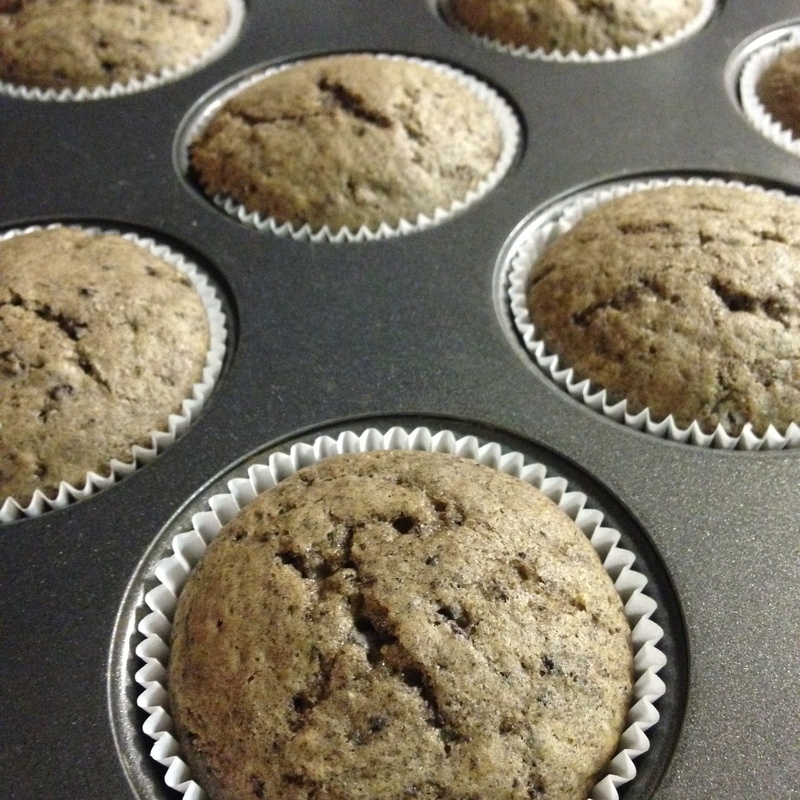 Line a muffin tin with paper liners, and fill each about halfway. Bake for 15-18 minutes, or until a toothpick inserted into the center comes out clean. Makes about a dozen cupcakes. In a large bowl, cream together the butter and almond butter. Add the almond extract, and the sugar – one cup at a time, beating well between each cup. Add the heavy cream, one tablespoon at a time – you may want to add more or less than 4 tablespoons, depending on your desired consistency. I found 4 to be perfect. 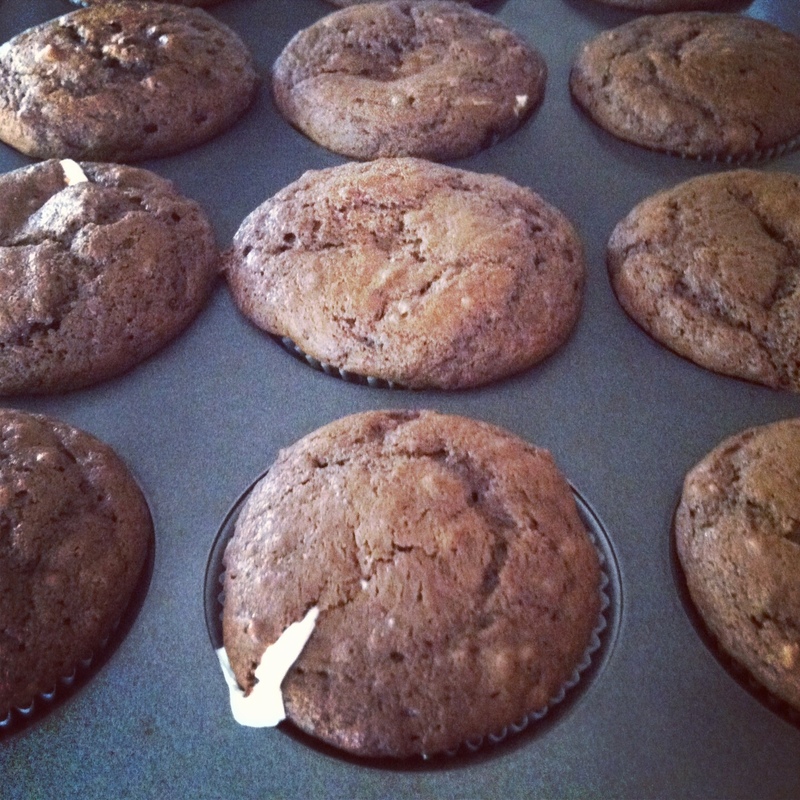 Long Time, No Recipe: Chocolate Pumpkin Muffins (with cream cheese filling). I haven’t posted much recently. Honestly, I really just haven’t had much to say. So, I decided to wait until I did have something to say, and that something was also post-worthy. And finally, that day has come. Rejoice! I’m probably the most happy about this, as I was getting a little worried I’d never have anything to say again. But patience is a virtue, and good things do come to those who wait (and bake). Being that Fall happened, I got the itch to make something pumpkin flavored. I was tired of the same old thing I make every year, and I started trying to come up with something new. Chocolate pumpkin! That sounded new and delicious, but of course, when I did a search, I found many recipes for this very thing. So turns out, this was only new to me. But that’s ok, I still wanted to give it a whirl. I found a recipe from Country Living for Chocolate Pumpkin Cake/Cupcakes which sounded the most like what I had in mind. I went ahead and altered the recipe slightly, and began creating that wonderful chemical reaction known as batter. And boy, what a batter it was. I briefly considered not baking it at all. But I didn’t think I could really offer cups of chocolate pumpkin batter to anyone and they be as excited about it as I was. Plus, it really would be a giant mess to transport. hey, batter, batter, batter…sa-wing batter! So, I decided to bake them. But the muffins alone just weren’t enough. I still wanted more. 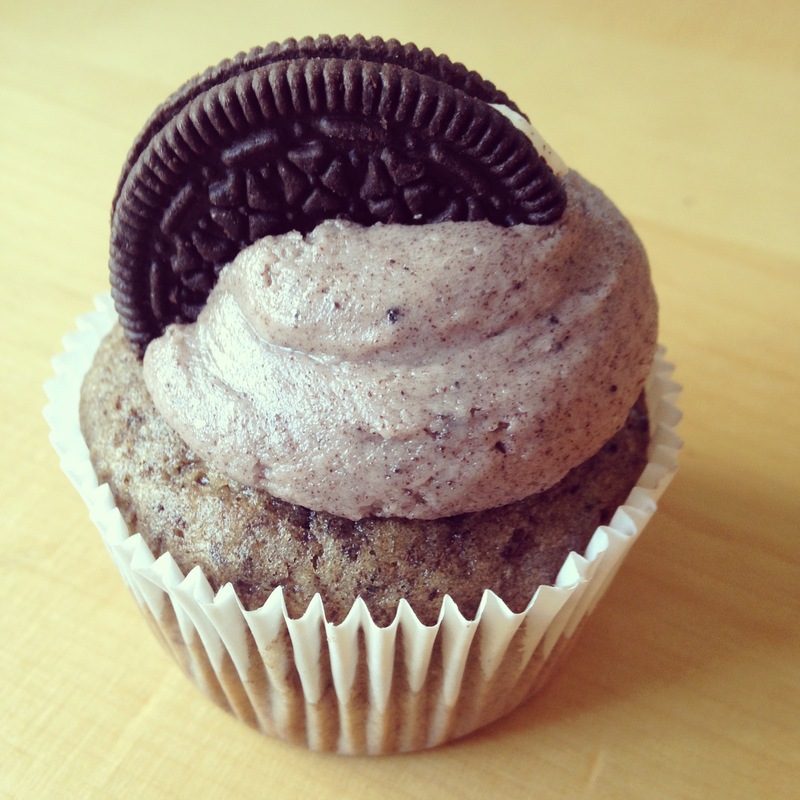 So, I decided to add a new twist to it – I added a cream cheese filling. 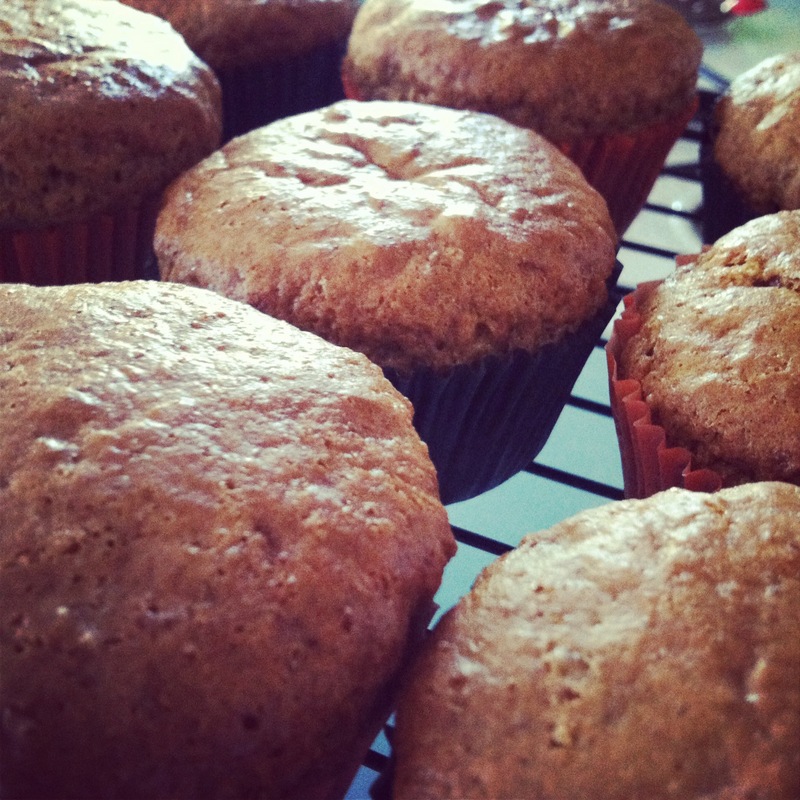 I baked them, and they really turned out pretty fantastic. 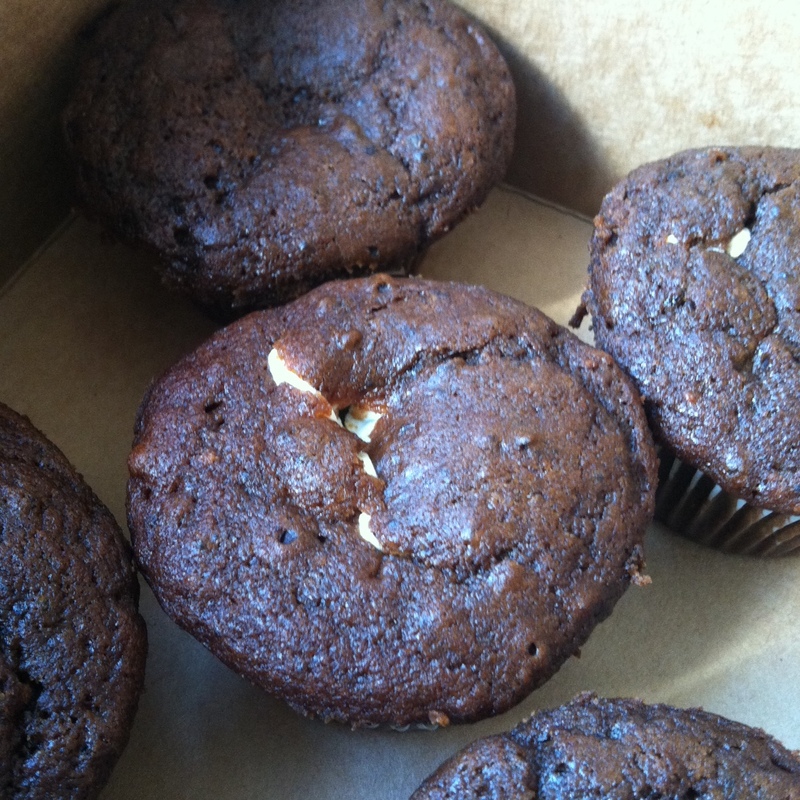 My only complaint – I used a little too much filling (although some may say that’s downright inconceivable). Anyway, here’s my take on these. Experiment, Eat, and Enjoy! Preheat the oven to 375. 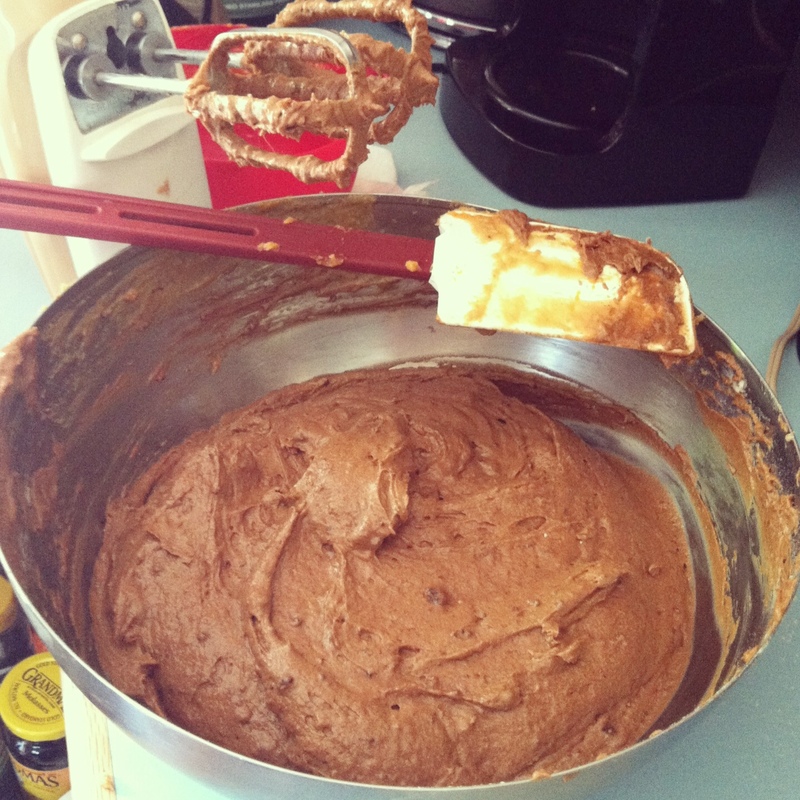 In a large bowl, whisk together the flour, cocoa, baking powder, baking soda, cinnamon and nutmeg. In a separate bowl, mix together the milk + vinegar, pumpkin, and vanilla. In another bowl, cream together the butter and sugars until fluffy. Beat in eggs one at a time. Slowly add the dry ingredients and the wet ingredients, one-third at a time, alternating between the two, until everything is mixed into one homogeneous batter. 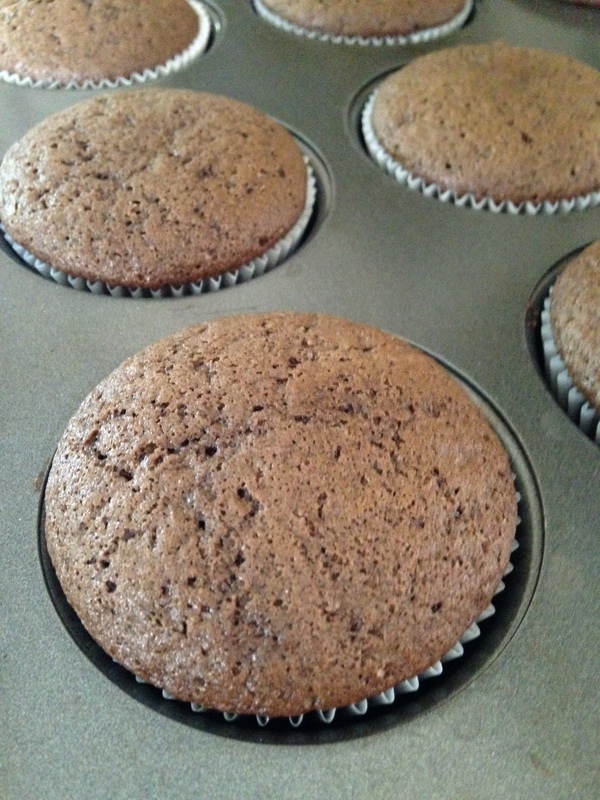 Line muffin tins with paper liners, and drop two tablespoons of batter into each cup (you may need to spread it around so it fills the bottom of the cup up entirely). Drop in one tablespoon of cream cheese filling*, and then cover it with an additional tablespoon of batter. bake for 20 to 22 minutes, or until a toothpick inserted comes out clean. In a large bowl, mix together 2, 8 oz packages of cream cheese (softened), 3.5 oz of sugar, and 2 teaspoons of vanilla until smooth. A Double Shot of Lemon (with whipped cream). This past weekend, I was having company over, and I realized I didn’t have much time to make dessert. Knowing that my reputation was at stake, I had to come up with something unique, delicious….and quick. 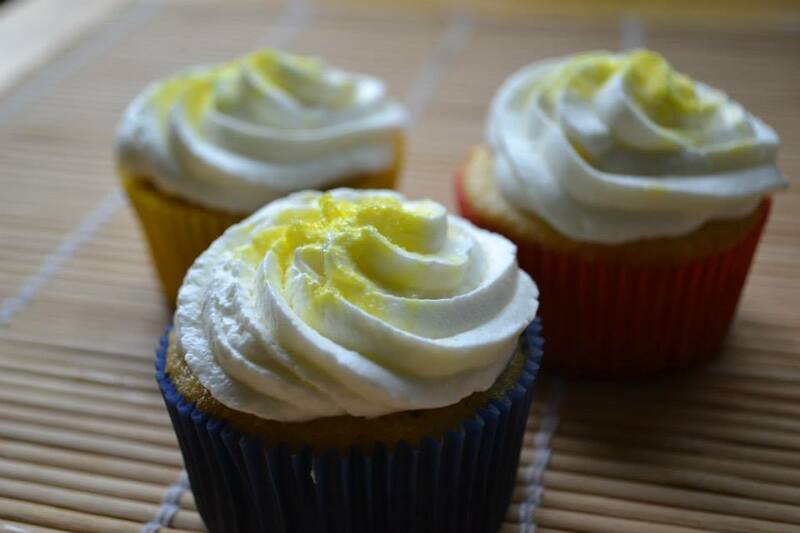 I had just recently made a batch of lemon whipped cream (to use as a topping for a cocktail – which is another post unto itself), and I had a lot of it leftover. Great – I had the topping, but now what do I put it on? I could make another Key Lime Pie… I had all the ingredients for it still on-hand…but I wanted something else. Something light and lovely. Lemon Sponge Cake. 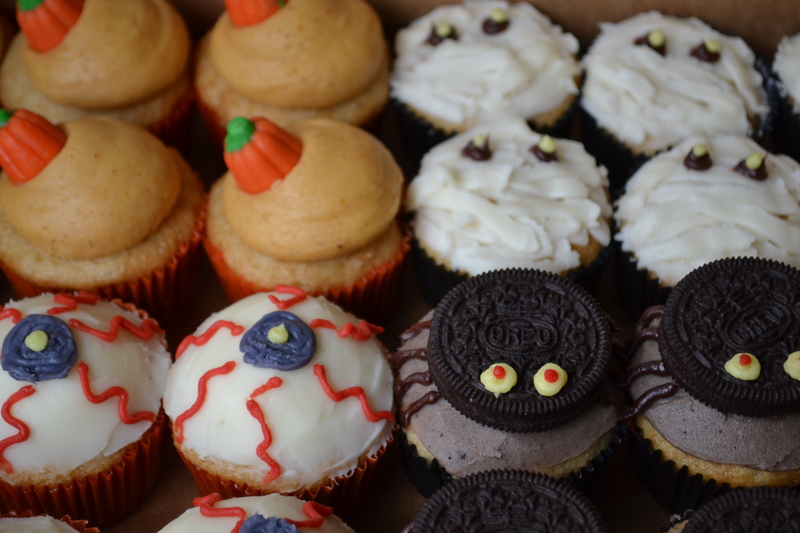 In cupcake form. Genius. all lemon, all the time. Now ultimately, I would have loved to dust the top with the zest of a real lemon, however I only had fresh limes. 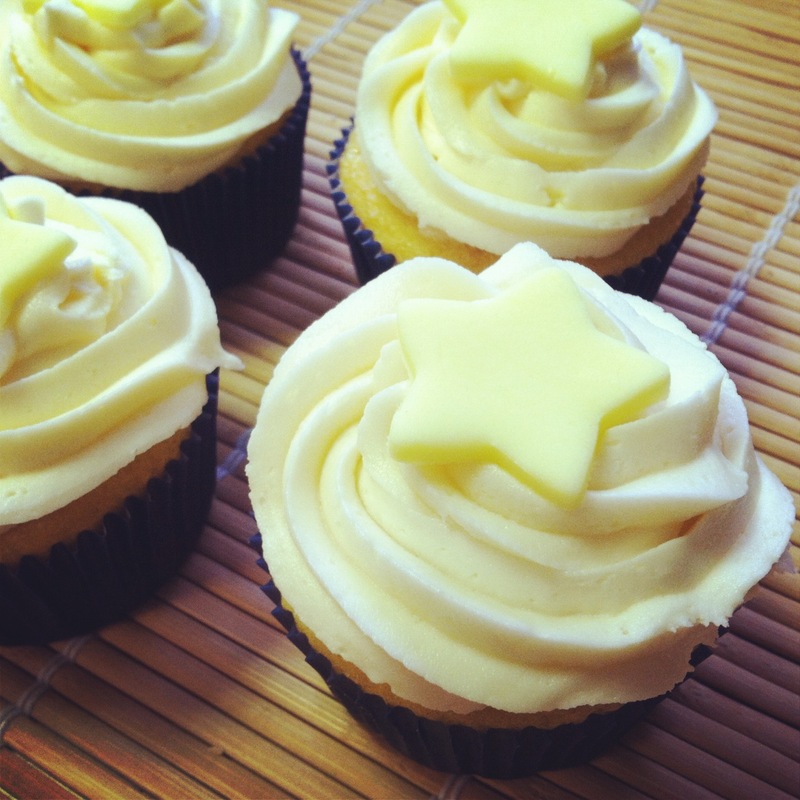 So in keeping with the them, I decided to use the next best thing – yellow sanding sugar. First of all, put the mixing bowl you are going to use in the refrigerator for about 30 minutes. Cream whips better in a cold bowl. Using the whip attachment, whip the cream until it forms soft peaks. Add the sugar and the lemon extract, and whip until stiff peaks are formed. Do NOT over-whip, or you’ll wind up with lemon butter. 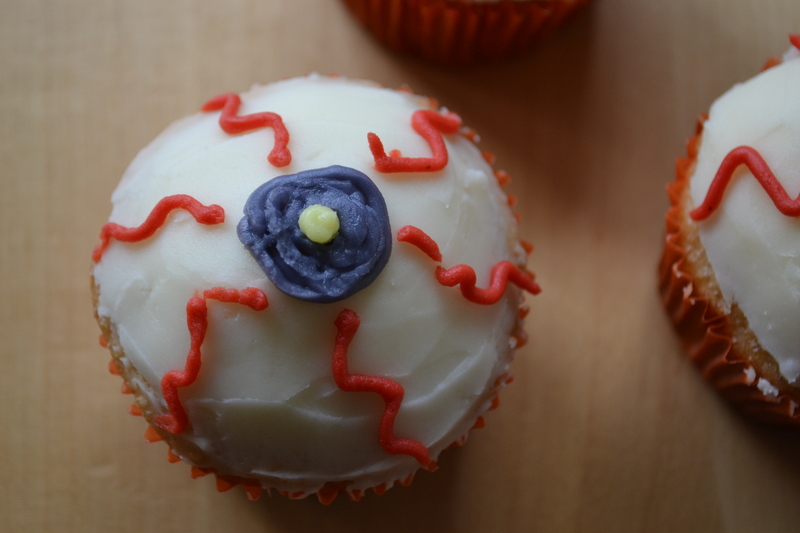 Which might actually not be that bad, but you certainly can’t top cupcakes with it. 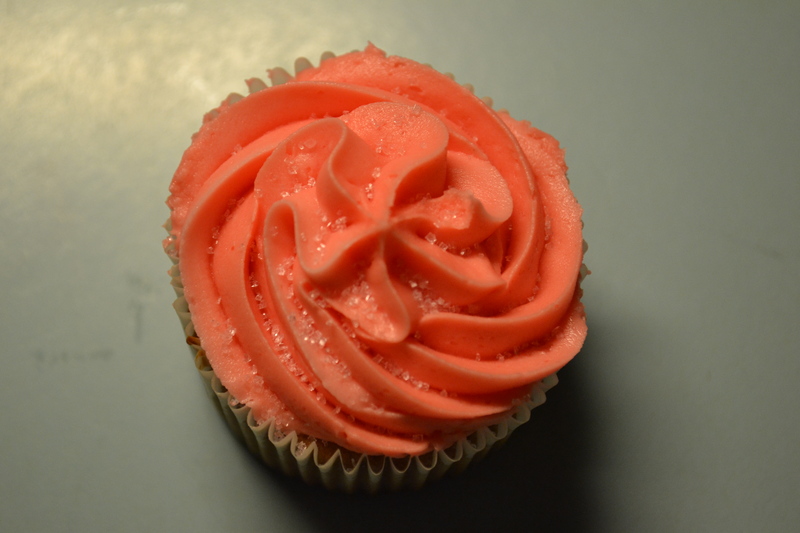 It’s a pink, pink, pink, pink, pink cupcake. My favorite word is “serendipity.” Mainly because I like the way it rolls off of the tongue, but the meaning of word itself appeals to me as well – “a fortunate accident.” The movie of the same name with John Cusack and Kate Beckinsale also happens to be one of my favorites, but that’s another story. 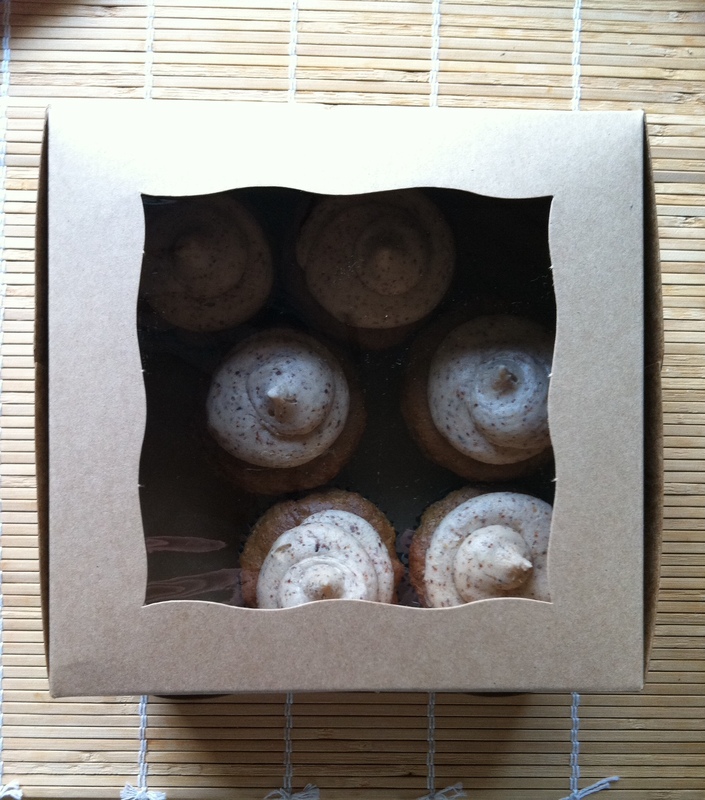 These cupcakes I recently made are a perfect example of serendipitous-ness. As I mentioned in my last post, I had been asked to make cupcakes for my friend’s daughter to bring to school. Well, truth be told, I made the cupcakes twice. The second batch was what my friend received. The first batch, upon first glance, did not meet my standards. First of all, they were rather small. 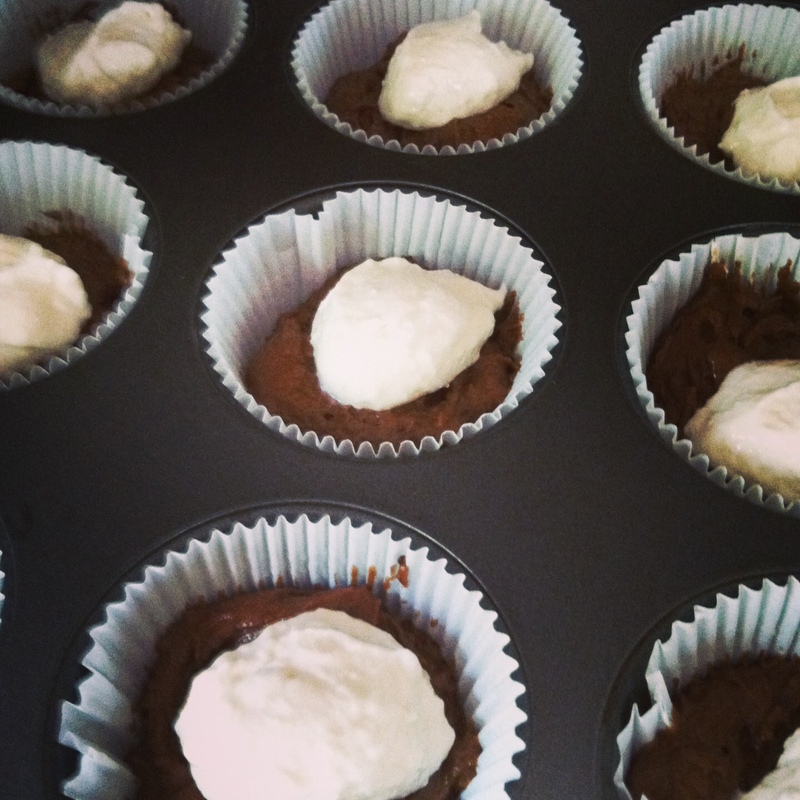 I’m thinking that was due to two factors – 1. the baking cups were not filled enough, and 2. the batter was not whipped enough so there was not enough air in it so they didn’t puff as much as I would have liked. I ate one, and then forced my boyfriend to eat one too (ok, so there was no real “forcing” involved here). We both thought they tasted great. But I just couldn’t get past the look. They were like runts of a cupcake litter. And if my standards are not met, they shall not pass into the hands of others. Because I refuse to ever throw perfectly good cake away, I packed them up and put them in the fridge, hoping to find a good use for them. I settled on bringing them in to my office as a random surprise treat. 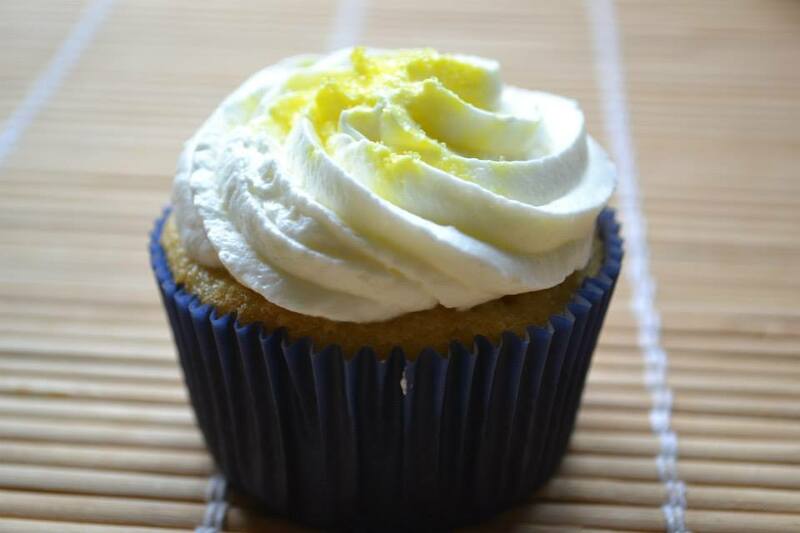 I wanted to make a batch of lemon buttercream as I’d been daydreaming about it all week, so this was the perfect excuse. I also felt like making them pretty. 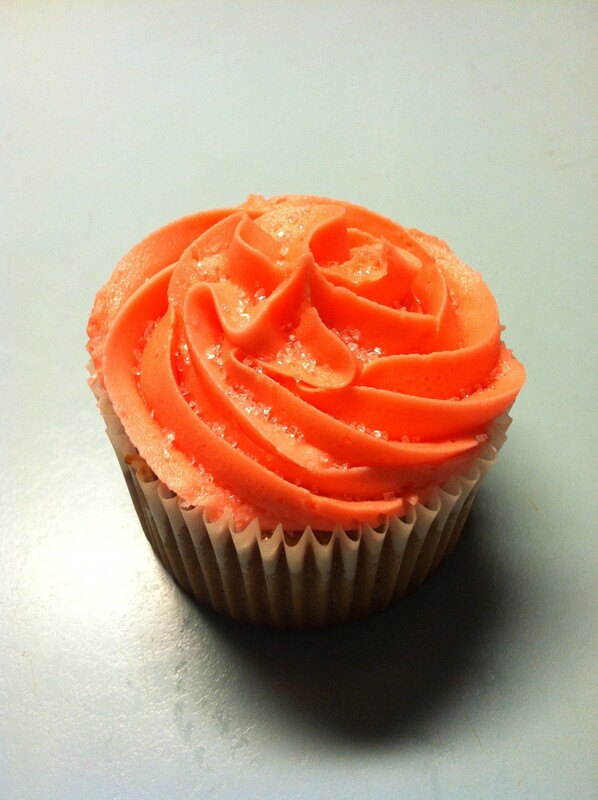 So I colored the icing pink, and threw on some sparkles to give them that extra something fabulous. As I was decorating them, I started thinking “heck, these ain’t so bad after all.” Sure, they’re small, but maybe that’s just fine. Once they were iced and sprinkled, I figured I’d better eat another one, you know, just to make sure they were ok. And they were. A little more than ok, as a matter of fact. The funny thing – everyone loved them. Some even went as far commenting on how these were the perfect sized cupcake. 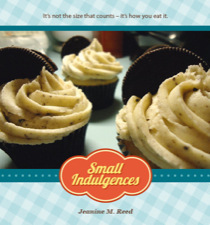 I guess maybe I’m on the right track with this “Small Indulgences” thing. It’s really NOT the size that counts, after all. A Cupcake for the Teacher. A friend of mine with a young daughter who was just about to finish school, asked me if I’d be interested in making some cupcakes for her daughter to take to school for a few of her teachers. Sounds like your standard-run-of-the-mill request right? Almost. 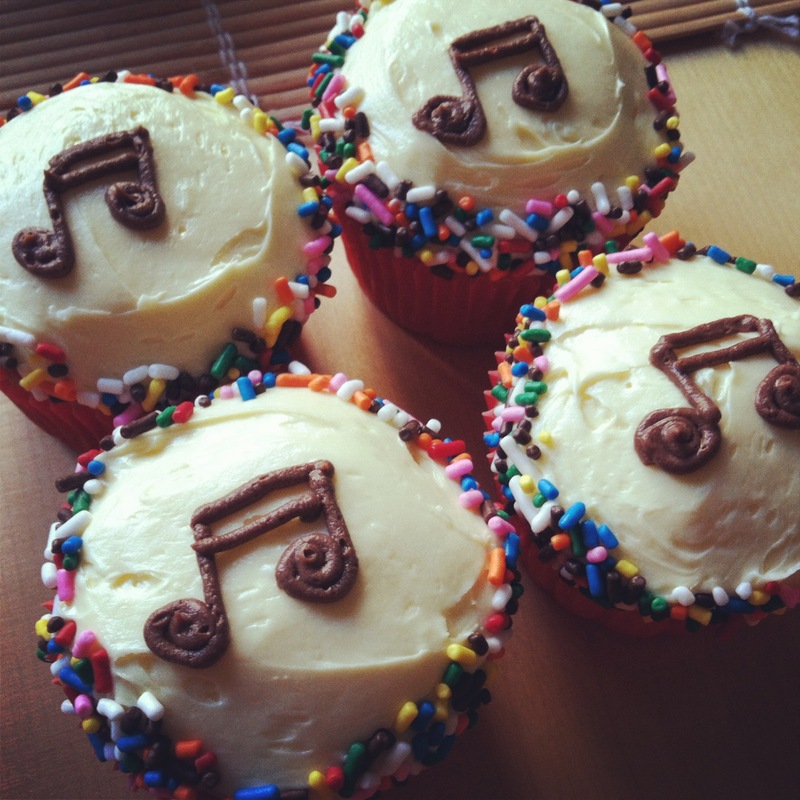 These particular cupcakes were to be personalized according to the specialty of the teacher – music notes for the music teacher, etc. They were to be packed in boxes of 4, according to their various designs. The cake itself was the same for all of them – vanilla. 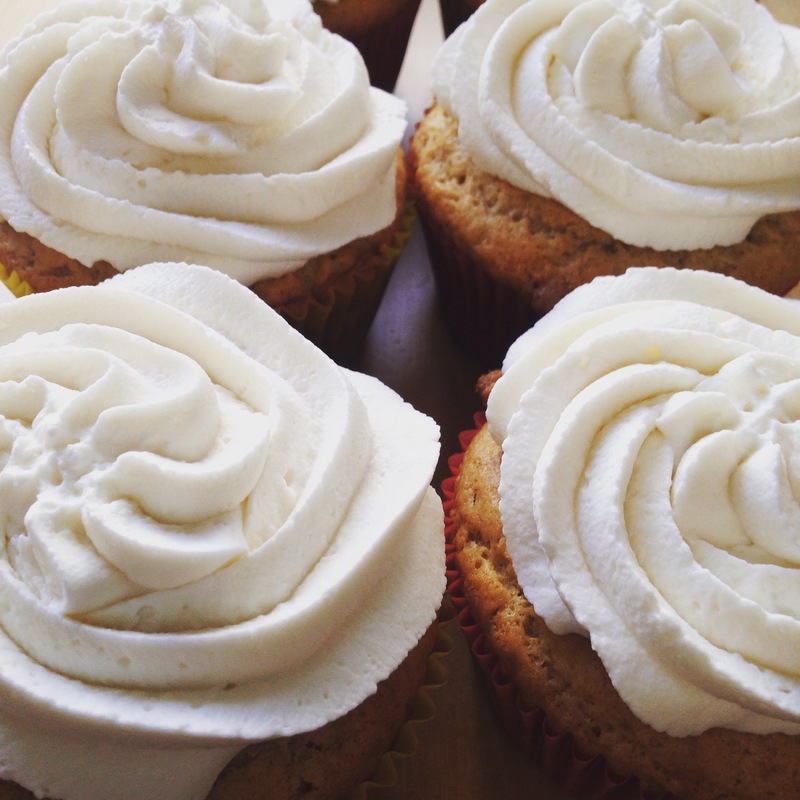 The icing was the same, too – buttercream. The only thing separating these cupcakes were how they looked. There were Stars for the Principal…. the stars are bright, and big at night. ….Music Notes for the Music Teacher…. ….and Keys for the Night Custodian (who helped them out of a jam on many more than one occasion). 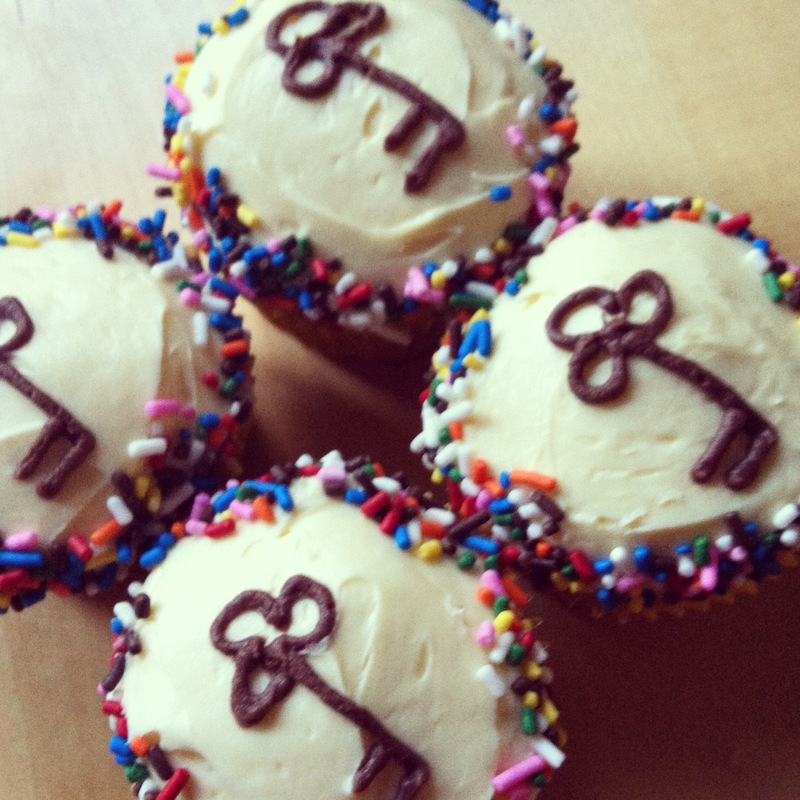 the key to sweet, sweet happiness.